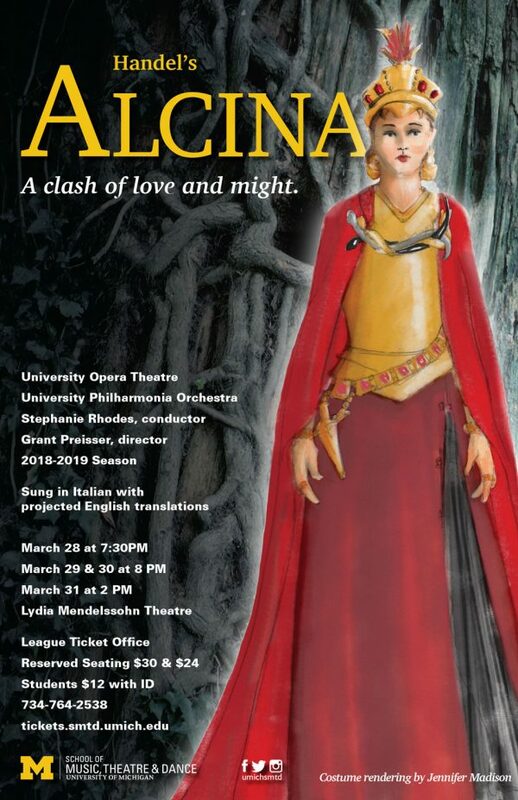 The third of Handel’s operas to be based on the epic poem Orlando furioso (with Orlando and Ariodante), Alcina is the story about a beautiful sorceress named Alcina, who lures men to her enchanted island for love only to turn them into objects or animals when she tires of them. Alcina debuted at the Covent Garden Theatre in London in 1735 to great acclaim. Just a few of the exquisite arias are the famous “Tornami a vagheggiar,” “Verdi prati,” and “Ah, mio cor.” Today, the opera is considered to be one of the composer’s greatest. A moving story of love’s fickleness and faithfulness, Alcina features some of Handel’s most alluring music.